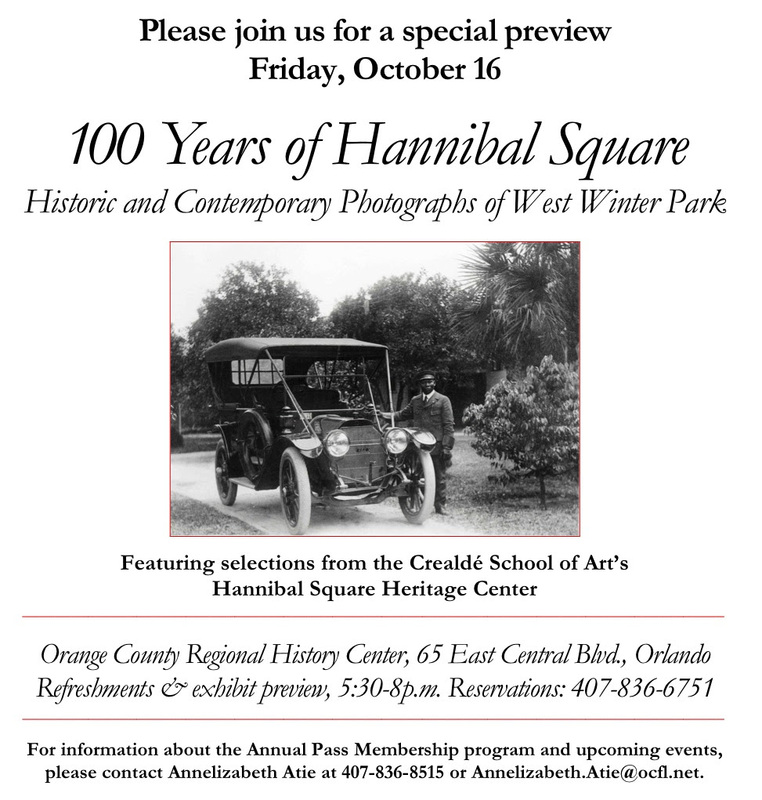 On October 17, the History Center unveils 100 Years of Hannibal Square: Historic and Contemporary Photographs of West Winter Park, featuring acclaimed images from the Crealdé School of Art’s Hannibal Square Heritage Center. The exhibition features historic and documentary photographs of Winter Park’s traditionally African American neighborhood, paired with recollections by past and current residents. It continues at the History Center through February 21. The images in 100 Years of Hannibal Square come from two major projects at the core of the Hannibal Square Heritage Center’s nationally acclaimed collection. The first – the gathering of historic images from Hannibal Square families – continues an ongoing effort that began in 2001. The second, The Sage Project, features portraits of community elders by documentary photographer Peter Schreyer, Crealdé’s executive director. With roots as a Reconstruction-era community for freed slaves, Hannibal Square was platted in the 1880s by Winter Park developers who envisioned the western neighborhood as a home for African Americans who worked for Winter Park’s white winter residents. Compared with other African American communities in Florida, Hannibal Square offered educational and business opportunities that others lacked, and the community flourished. Nevertheless, the community was not immune to the effects and Jim Crow laws of the segregation era, including a law that forbade residents to cross the railroad tracks after sunset. The upcoming exhibition is a tribute to the past, present, and future of this vital community and to the cooperation that created an invaluable record that might have been lost.